In June 2010, Brené Brown, a research professor at the University of Houston Graduate College of Social Work, gave a TEDx talk in Houston on “the power of vulnerability,” condensing six years of research on shame resilience into a spare 20 minutes. Disarmingly hesitant at first, she didn’t so much address the audience as she seemed to confide in it, telling two interwoven stories: one about her academic research into shame and vulnerability, the other about the spiritual and psychological crisis the work precipitated in her, leading to a much deeper experience of authenticity and human connection. The thesis of her talk went something like this: a pervasive sense of shame makes many of us—particularly in America—feel unworthy of human connection. Why the shame? Because in this perfectionistic culture, most of us believe we’re “not good enough...not thin enough, rich enough, beautiful enough, smart enough, promoted enough” to be worthy of love. So we can’t afford to let our guard down, become vulnerable, because letting others see us as we really are would mean we’d be rejected out of hand. Better to avoid emotional risk, avoid vulnerability, and numb ourselves to any pain we can’t escape. The personal and social costs of this strategy, however, are great. “We are the most in-debt, obese, addicted, and medicated adult cohort in US history,” she told audiences, with shopping, food, drugs, and alcohol being well-tested means for numbing out unpleasant emotions. Besides that, the whole shame/vulnerability-avoidance game backfires: by dodging emotional risks, we miss out on the genuine human connection we’re so terrified of losing in the first place. Almost immediately, the number of viewers who’d seen the video online took off, and then within less than two years, grew to nearly six million people. (Since then, this talk has garnered a staggering 25.5 million views, making it one of the top-10 TED talks ever.) Unsurprisingly, Brown was asked to give another TED talk in March 2012, this one at the so-called flagship TED conference in Long Beach, California. The 2010 conference had been one of hundreds of modest, locally planned and sourced one-day community affairs (though licensed by the central TED organization), held all over the globe every year. The annual flagship conference, what we might call Big TED, is a five-day brainy extravaganza, costing attendees many thousands of dollars, and featuring as many famous or semifamous or wannabe famous thinkers, shakers, movers, doers, leaders, and “creatives” as can be assembled in one place at one time. By any measure, Brené Brown is a phenomenon. And yet, notwithstanding her talents as a teacher and speaker or the surprising appeal that the subject of shame apparently holds for millions of people, it’s not immediately clear why she should be such a runaway hit. Haven’t therapists and pop psychologists and self-help gurus been talking and writing about shame and its malign effects—and possible antidotes—for decades? John Bradshaw, the famous counselor and motivational speaker par excellence first shot to fame nearly 30 years ago with his concept of “toxic shame,” popularized in his workshops and bestselling book Healing the Shame that Binds You (1988), and shame as an issue in both psychotherapy and pop psychology has been on a roll ever since. 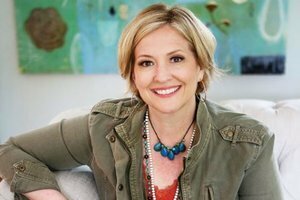 So why has Brené Brown made such a splash, and why now? It might have something to do with the internet, which has made people more aware of the vast reach that shame has in our culture. While public shaming has always been a popular sport, the advent of online shaming—did it originate in 2004 with Facebook or 2006 with Twitter?—took it to unprecedented levels. Nowadays, the mass shaming of just about anybody for just about any reason, however trivial, is much easier, longer lasting, and possibly more poisonous than at any time in human history. It isn’t just the local villagers who jeer at the shamed person in the stocks for a day, but the increasing thousands and then millions who watch and revel in someone’s downfall and maybe tweet a few punches themselves, increasing the virulence of the attack and keeping it alive, often for months. But you don’t have to be prey to a million snarling digital curs to experience the kind of shame that, in Brown’s view, suffuses our society, and perhaps always has. After all, a society that glorifies rugged individualism and makes a fetish of the self-made man or woman—the idea that anybody who genuinely tries hard enough can make it—will look with suspicion on people who haven’t made it. The usual suspects are the poor, the old, the unbeautiful, the powerless. But, Brown suggests, the list of those not quite making it also includes millions of us who simply believe we are “never good enough, never perfect enough, never thin enough, never powerful enough, never successful enough, never smart enough, never certain enough, never safe enough, never extraordinary enough”—a self-assessment chronically internalized as shame. In a startling feat of semantic legerdemain, Brown has taken the concepts of shame and vulnerability and turned them completely on their heads. As she sees it, shame is universal and normal and, far from being something to hide and avoid, can be a kind of goad—however unpleasant—to making changes in our lives for the better. In short, she subversively makes shame less shameful, a part of the ordinary human condition. Mary Sykes Wylie, PhD, is a senior editor at Psychotherapy Networker. This blog is excerpted from "Living Brave" by Mary Sykes Wylie. The full version is available in the September/October 2016 issue, Courage in Everyday Life: An Interview with Brené Brown. I read what you're saying, but honestly I feel there is no help for me. I don't want to be a victim I want to be able to say enough is enough. Sometimes no matter what you read you still feel alone. I feel no one could ever understand what I go through on a daily basis.